LAX is the most stressful airport in Southern California. When you need to get to the airport on time, you need to use Ride n’ Relax for your shuttle to LAX. Our private luxury car service takes you door-to-door to make sure you never miss your flight. Ride n’ Relax offers affordable transportation to the airport through our black car service. Our drivers are courteous and professional. We’ll pick you up from your home, business, or hotel and make sure you get to the airport comfortably and safely. 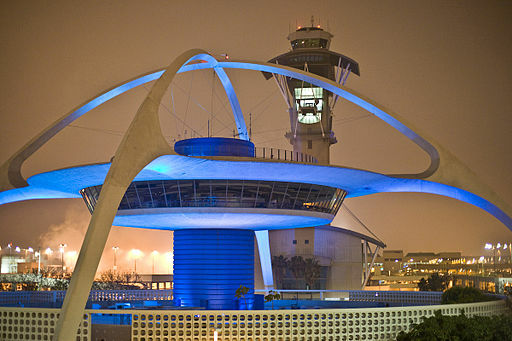 Los Angeles International Airport is the busiest and largest airport in the LA metro area. It’s also the only airport in the world to be a hub for 5 major airlines. The airlines that use it as a hub are Alaska, American, Delta, Southwest, and United Airlines. The airport handles over 80 million travelers a year – more than Ontario, Long Beach, and Burbank combined. It’s 4 long parallel runways allow it to handle to many arrivals and departures. Ride n’ Relax makes sure your trip starts off the right way. Our shuttle to LAX is exactly what you need to make sure you get to the airport on time and make it home without any hassle. Don’t even think about spending more money to get packed onto a tiny bus – reserve your ride with Ride n’ Relax. Always your comfortable, private car service option to get you there. For LAX or any other local airport, our professional drivers have you covered. For great rates and to book your next trip, call us today at (323) 674-9020 or click the Book Now link below to get started. We look forward to serving you and your airport transportation needs. Start and end every trip with Ride n’ Relax.